[124 Pages Report] The network analytics market size is expected to grow from USD 768.2 Million in 2015 to USD 2,317.5 Million by 2020, at a Compound Annual Growth Rate (CAGR) of 24.7%. The major growth drivers of the network analytics market include customer data enrichment for better understanding needs. The base year considered for this report is 2014, and the market forecast period is 2015–2020. The main objective of the report is to define, describe, and forecast the global network analytics market on the basis of type (solutions and services), end users, deployment type, organization sizes, and regions. The report provides comprehensive data about the major factors influencing the growth of the network analytics market (drivers, restraints, opportunities, and industry-specific challenges). The report aims to strategically analyze micromarkets with respect to individual growth trends, future prospects, and contributions to the total market. The report attempts to forecast the market size with respect to five main regions, namely, North America, Europe, Asia Pacific (APAC), Middle East and Africa (MEA), and Latin America. The report strategically profiles key players and comprehensively analyzes their core competencies. It also tracks and analyzes competitive developments, such as partnerships, collaborations, and agreements; mergers and acquisitions; new product launches and new product developments; and Research and Development (R&D) activities in the network analytics market. The Network Analytics ecosystem comprises vendors such as Accenture plc (Republic of Ireland), Alcatel-Lucent (France), Bradford Networks (U.S.), Cisco Systems (U.S.), IBM (U.S.), Sandvine Incorporated (Canada), SAS Institute (U.S.), Tibco Software (U.S.), Juniper Networks (U.S.), and Brocade Communications Systems (U.S.). Other stakeholders of the network analytics market include local vendors, research organizations, network and system integrators, Network Analytics managed service providers, third-party providers, and technology providers. MarketsandMarkets forecasts the network analytics market size to grow from USD 768.2 Million in 2015 to USD 2.32 Billion by 2020, at a Compound Annual Growth Rate (CAGR) of 24.7% from 2015 to 2020. With the increasing digital and technological connections in the world, the global consumption of communication services continues to increase. The global IP traffic is expected to increase threefold over the next five years. The subscriber bases for these services are exploding with population growth and rising per capita income in the developing nations. Yet, the revenue forecasts for the communication services industry remain sluggish and the costs of providing the infrastructure for data continue to rise. Thus, Communication Service Providers (CSPs) need to simplify operations to reduce costs, invest in digitalized network services, and focus on customers to gain insights into their business preferences. CSPs should analyze network traffic and data to anticipate customer demands in advance. The network congestions and resulting decrease in Quality of Service (QoS) and Quality of Experience (QoE) are taking a severe toll from the communication service providers. This can be majorly accounted to the exponentially increasing number of subscribers of cloud and communication services across the globe. This factor could cause severe anomaly in the network performances leading to failure of cloud providers & CSPs to sustain an efficient network infrastructure. The end users are evaluating their networks and preparing future infrastructures to support the tremendous demand for data. Thus, the telecom operators and internet & cloud service providers are reeling under the pressure of intelligently managing network complexities created by converged services, with the help of network analytics solutions and services. The scope of this report covers the network analytics market by solution, service, end user, deployment type, organization size, and region. Network intelligence solutions are expected to have the larger market share than services and projected to dominate the market from 2015 to 2020. Furthermore, the solution segment would see maturation in the future due to higher adoption and as a result professional services are expected to gain traction in the next five years. The CSP end-user segment is expected to grow at a high rate from 2015 to 2020 in the network analytics market. The market is also projected to witness growth in the cloud service providers segment during the forecast period. North America is expected to have the largest market share and dominate the network analytics market from 2015 to 2020, due to a large number of solution vendors being headquartered in the U.S. Asia-Pacific (APAC) offers potential growth opportunities, as there is rise in smartphone penetration and larger infrastructure investments by CSPs and cloud service providers that are turning towards network analytics solutions to efficiently manage their expanding operations. The exploding mobile subscribers in the developing regions such as APAC, Middle East and Africa, and Latin America are paving ways for a major expansion of communication networks. Major international CSPs are seizing these opportunities to enter new countries such as India, China, Mexico, Brazil, and others for operational establishments. Thus, the domestic and foreign investment inflows in the developing countries are expected to rise in the near future. However, the demand may be affected by the restraining factors of higher initial costs and lower returns on investments. The major vendors in the network analytics market include Accenture, Alcatel-Lucent, Juniper Networks, IBM, Brocade Communications, and SAS, along with others. 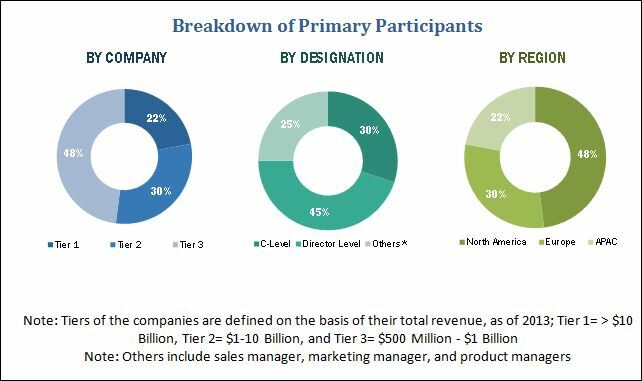 These players adopted various strategies such as new product developments, mergers, partnerships, collaborations, and business expansions to cater to the needs of the network analytics market. The report also includes key innovators in the market such as Polystar, PathSolutions, and SevOne, among others.